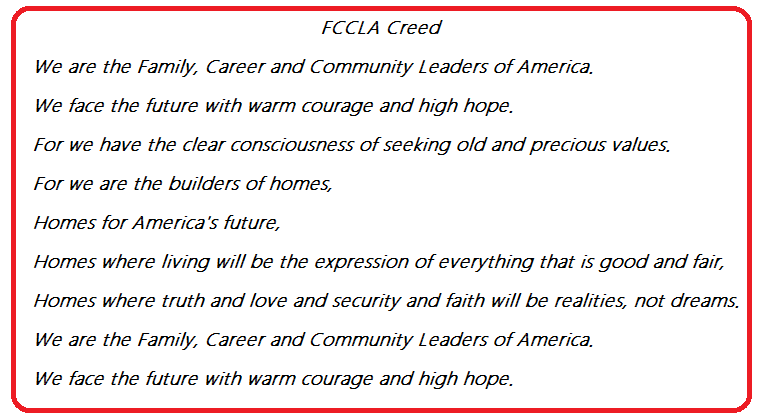 FCCLA stands for Family, Career and Community Leaders of America. It is the ultimate leadership experience that helps students grow personally while developing their leadership skills and preparing for career opportunities through family and consumer sciences education. MONTHLY MEETINGS scheduled the 2nd Tuesday of the month. JH 2nd Wednesday of every month. Student membership form click here. Contact Mrs. Parsons at tparsons@grafordisd.net with membership questions. Dues are $16.